This powder has the prettiest collection of colours and is absolutely perfect for spring, the packaging is also amazing and looks great in my makeup bag! For eyeshadow, I used my Clinique Colour Surge Eyeshadow Quad in Spicy (102) and I used the second colour in to cover my whole eyelid and then contoured with the first and third colours. I lined the top of my lash line with Models Co Eyeliner in Black (01), leaving my lower lash line clear. Then, I applied two coats of Model Co Fibre Lastxtend Mascara in Extreme Black. I love this mascara because on the other side there is a built in mirror which comes in very handy! For my lips, I lined them with Lancome lip liner in Rose The and filled them in with Rimmel Moisture Renew Lipstick in Vintage Pink which has been featured in my monthly favourites. I love this colour for spring as it's not too dark. After finishing my make up, I used my Remington Keratin Therapy Pro Volume Brush (See my review here) to add a bit of volume to my hair which only took about five minutes. I added some volume at the roots and then also at the ends of my hair. For my nails, I applied Seventeen Lasting Fix Nail Polish in Mint Choc Chip as a base and then, once it was dry, I applied Seventeen Colour Clash Nail Effects in In The Surf on the top. I just picked it up last week in Boots and so far, I'm pretty impressed. For my outfit, I wore my new Boohoo swing dress which I bought last week. 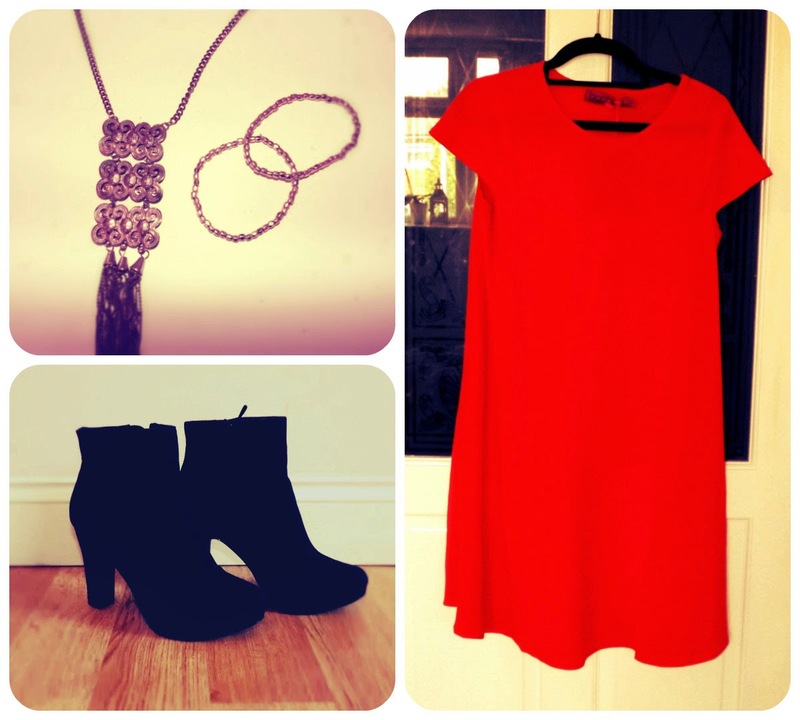 I accessorized with a selection of jewellery from New Look and Matalan and added my ankle boots from TU. Thanks so much for watching and reading and don't forget to enter our beauty giveaway here! Could you check out my blog and follow it on bloglovin? I will follow back! I have at least one new post a day! Wow I love those boots! And the nail varnish looks great too!